Here is a unique idea for a holiday appetizer. 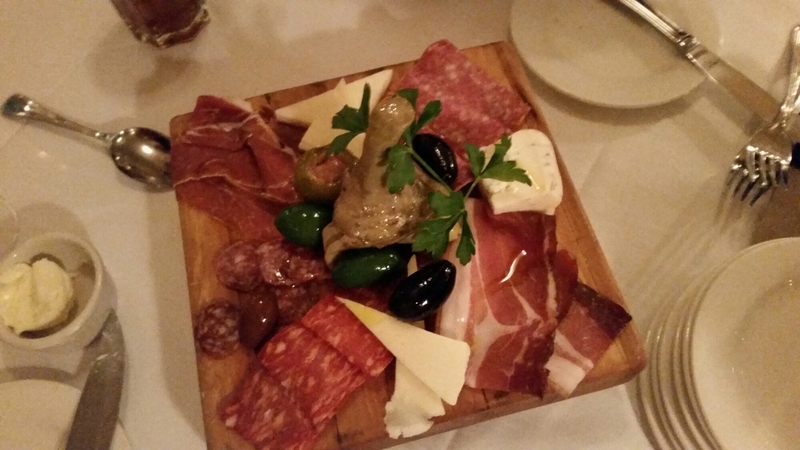 It is an Italian Antipasto platter and its one of my most popular dishes. For those of you who have read my book (‘Marley Parker’), you know that Tony is Marley’s father and he loves too cook Italian food. Well, this recipe happens to be a favorite of my father as well, his name is Tony Libri. It’s pretty obvious that the character of Tones is based off of my dad. I love creating characters based on people who have made an indelible impact on me. Arrange all ingredients on a large platter, drizzle good olive oil over the top, then sprinkle with ground black pepper. Voila! I had an awesome morning! This is a pic of me with Dr. Ron Havens. He was my favorite Psych. Professor at UIS. He agreed to be a consultant on the upcoming marley Parker book; ‘A Rumor of Ghosts’. The character of ‘Doc’ (Dr. Will Warner) was 100% based on him. He is such a wonderful teacher and an inspiration. Interview with Maria Sigle, Author of Marley Parker.